On the shore side of the Parade is a small paved area known as the Donkey Stand. Today there is seating here and a variety of interpretation boards. This projection in the sea wall was constructed because at the time when the wall was built there was a building already standing here. 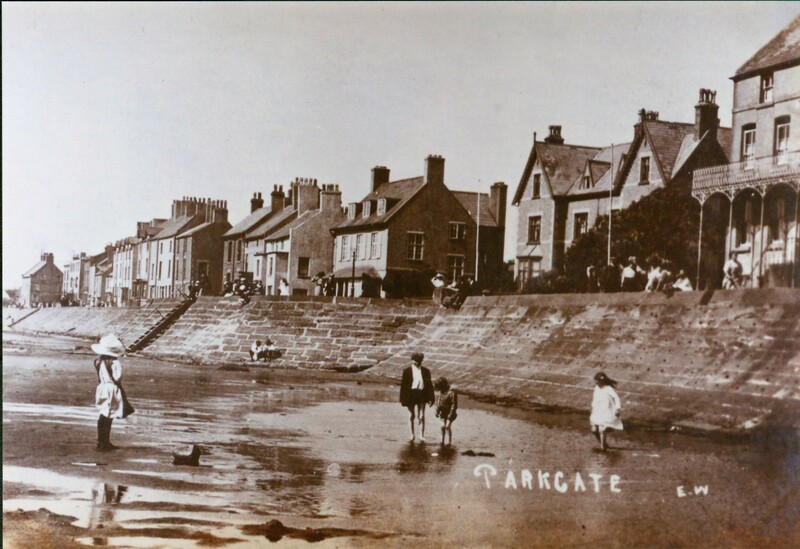 It is said to have been the original customs house and it later became Parkgate’s first Assembly Room and, finally, sea-water baths (hot & cold). This building was demolished about 1840, and from 1871 the area became a place from where donkeys gave short rides to the South Slipway (close to where The Old Quay now stands). 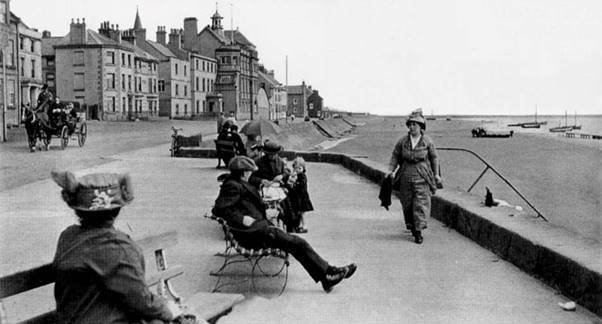 In this Edwardian picture of the Donkey Stand you can see people sitting on benches enjoying the fresh sea air and in the background you can see a bicycle propped up against the wall. Much like today! There are boats visible on the sands and the only traffic is a single horse and carriage. Unlike today! In this picture you can see the high tide lapping at the top of the Donkey Stand sea wall. 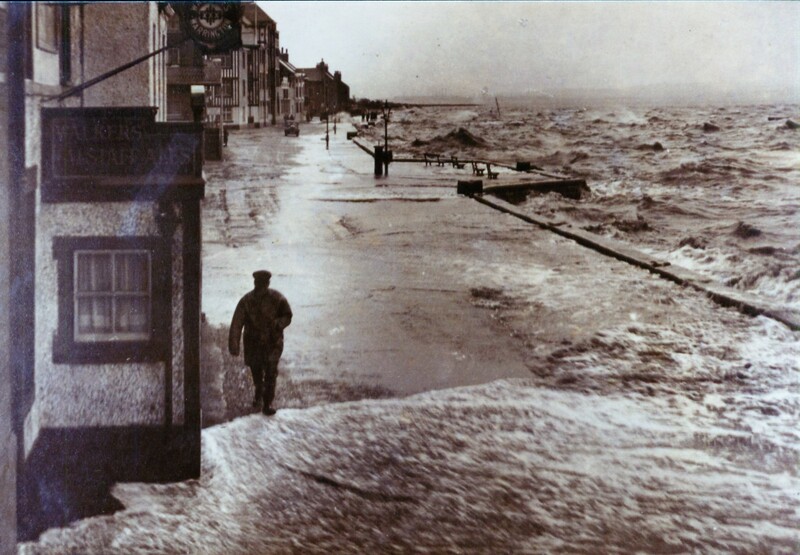 In the foreground the waves are crossing the road and lapping around the entrance to the Red Lion Pub. The man in the picture is choosing not to walk on the pavement/wall side of the parade in an attempt to keep his feet dry!